Increase alertness and mask fatigue. Steroids allow athletes to train harder, recuperate more effectively, and build muscle more quickly. This translates to significantly increased performance. They can potentially increase aggression and cause liver and kidney damage but this is only likely if used in high doses over long period of time. Remove fluid from the body. Used to help athlete make the weight, eg in boxing and as masking agents to conceal other drug use. Causes severe dehydration. A number of bodybuilders have died as a result of their abuse. Mask pain caused by injury or fatigue, which can make the injury worse. EPO (Erythropoietin) increases red blood cells – gives more energy and HGH (Human Growth Hormone) – builds muscle, assists recuperation, reduces bodyfat. EPO – Carries a risk of stroke or heart problems and HGH – In high doses can precipitate abnormal growth, heart disease, diabetes, arthritis etc. 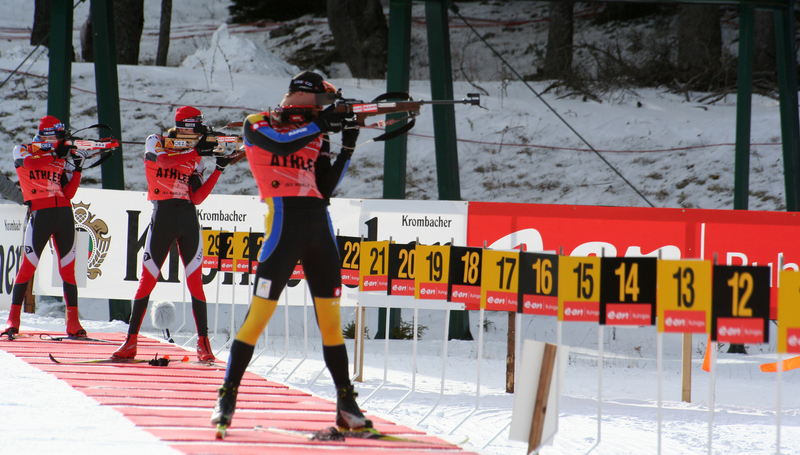 Beta-blockers are banned in archery and shooting as they keep the heart rate low and reduce tremble in the hands. They are used extensively in sports requiring a steady hand. Blood doping is re-injecting blood that has been previously removed from the body, enabling the blood to transport more oxygen. It has now largely been replaced by Erythropoietin (EPO). It can cause kidney and heart failure. Why are performance enhancing drugs in sport banned? The arguments against performance enhancing drugs in sport (PED’s) are supposedly, harm prevention, and maintaining fairness, both of which in reality are completely redundant and somewhat hypocritical. Though some PED’s may cause harm this could be reduced if they were made legal and properly regulated. Additionally drugs could be specifically targeted to increased athletic performance rather than used off licence and illegally for this purpose. At present there is a huge number of amateur and recreational athletes procuring peds from the black market, predominantly from underground labs. The authenticity of these compounds cannot be validated, which presents increased health risks. These substances have even become prevalent at high school level. Additionally many sports are inherently dangerous to the competitors, and not just the ones like boxing that are designed for combatants to inflict harm on each other. Spectators are extremely happy to part with ridiculous sums money to watch these events some of which cause brain damage, others reducing life expectancy. Sport at Olympic level is certainly not fair either. Rich countries generally outperform poor ones and not because their athletes are genetically superior. It is rather a question of available resources – their access to the best training, best nutrition, the best technology and support and of course the best chemists. The feds are well aware of the extent of the problem and know that this goal is not presently achievable. The endemic use of drugs in sport make it impossible. This is currently being hidden from Joe public and the media are still focusing on the individuals who get caught. Rather than accepting that the clean athlete is the rare exception. Anti-doping authorities state that using performance-enhancing drugs goes against the “spirit of sport”. The reality is that this ethos is not compatible with the “do or die” mind-sets that is prerequisite of success today for athletes at super elite level. In fact clean elite athletes are as rare as hen’s teeth. Elite athletes can earn tens of millions of dollars every year in prize money alone, and millions more in sponsorships and endorsements. The lure of success is great. But the penalties for cheating are small. A six month or one year ban from competition is a small penalty to pay for further years of multimillion dollar success. This is a complete misrepresentation of the situation and ignores the history of competitive sport. No there isn’t a drugs crisis in athletics. Drug use in sport has been endemic for decades. As I predicted in my first blog post about the prolific use of performance enhancing drugs in sport, the turkeys have come home to roost. The cat is out of the proverbial bag so to speak. This is not as the media would have us believe a new phenomena. Any elite athlete who could benefit from PEDs has done so since well before Alan Wells powered to hundred metres sprint gold in 1980 Olympics, incidentally the last white caucasian to do so. The natural genetic limit of physical performance was probably reached decades ago, and the improvements in for example sprint times, are primarily down to drugs, not coaching. Logic would indicate that sprinters need sprint coaches to help them to improve, however a proficient sprint coach is far less valuable to an athlete than a great chemist. Not in recent decades they haven’t. Additionally there are few if any elite endurance athletes who are clean either. It is a long time since a clean athlete won a gold medal in any athletics event. The drugs that athletes utilise make them stronger, fitter, and able to recuperate faster. This translates to better response to training, and significantly increased performance. It would be impossible for a natural athlete even with optimal genetics, to be the best in a discipline full of chemically assisted competitors. Genetics plus training is not enough to achieve success anymore, it hasn’t been for decades, even at amateur level competition. The current testing procedures enable athletes to optimise their blood levels of testosterone significantly thus dramatically increasing strength and power. This isn’t just an advantage in pure strength sports like weightlifting. Sprinting, sprint cycling, throwing, jumping – in fact all athletic pursuits will benefit from increased power. Testosterone is the hormone primarily responsible for increasing muscle mass and power. Drug Testing procedures for anabolic agents measure ratio of testosterone to epitestosterone which in most individuals is 1:1. The permissible ratio allowance by world anti doping agency (WADA) however is 4:1. This allows athletes and their coaches to manipulate these variables and dramatically increase testosterone levels. The effect of synthetic male hormones on women is far more profound than on men. Women athletes have a natural testosterone level less than one tenth of a man’s. By augmenting their male hormone levels women can achieve massive increases in performance comparable to their enhanced male counterparts, and superior to natural male athletes. Their success comes at a cost however. The drug causes virilisation which is sometimes difficult to conceal, and mostly irreversible. You only have to look at old pictures of the world champion US sprinter Florence Griffiths – Joiner (Flo-Jo). She attempted to accentuate her femininity to detract from the virilisation (masculinity) her body was undergoing as a result of her steroid abuse. Admittedly there are milder drugs available, and currently widespread, which ellicit less viriisation so it is not always obvious, although I can spot it a mile away. You only have to look at the stride pattern of today’s female sprinters. scientific expert at the Anti-Doping Authority of The Netherlands. The temptation to use PEDs is certainly not limited by gender. Because the subject of drugs in sport remains taboo due to gross misinformation and demonisation primarily by the media, athletes who utilise performance enhancing drugs are unlikely to admit to previous or current use. 4. Athletes are drug tested and are therefore mostly assumed to be clean. There is a saying in athletic circles that drug tests are IQ tests – only idiots fail them. 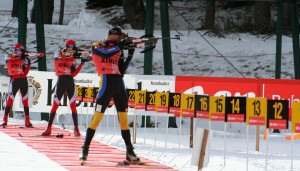 Some athletes may even be clean at the time of the actual competition. Others will have had their blood levels monitored closely to ensure their hormonal ratios were within acceptable parameters. An athlete who has previously used steroids for example, would also have accumulated benefits from previous use. These drugs and their metabolites are also undetectable after a period of time which is known to the athlete. They merely stop taking them within this time frame prior to competition. Historically many regularly tested athletes, for example Lance Armstrong, never failed a drug test. 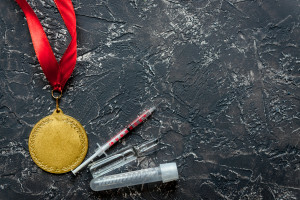 Athletes blood levels are monitored extremely closely, only an error such as a miscalculation in the timing of a steroid injection, or use of a masking agent (i.e. diuretics) would result in a positive test. When there is money/commercial pressures on the line, and there are drugs available that will enhance physical performance with little chance of detection – then they will be taken. The mind-set of many elite athletes is such that given a choice of taking a drug that would ensure being the best, but would kill them in 5 years, most would still take it. No they probably arent. The fact that it’s supported by the state is irrelevant at elite level competition. The message recently emanating from sports governing bodies, is suggesting that we ban Russian athletes from competition. Russian athletes are doing the same as what all elite athletes do – they take performance enhancing drugs. Otherwise they would be unable to compete and be successful at that level. The federations are trying to pretend that the Russians are the primary villains. The whiff of hypocrisy is overwhelming. The current I.A.A.F. president himself was competing in an era when blood doping was being utilised by athletes and steroid use was rampant. I’m fairly certain he would have been acutely aware of what was going on in his and other sporting disciplines with regard to blood doping and rampant steroid use – and that was many decades ago. State supported cover-ups are really not that surprising seeing as national and international success for a countries’ athletes is dependent on chemical supplementation. Many of the coaches of US and European elite athletes will likely be supervising their own athlete’s drug intake and subsequent bloodwork to ensure hormone ratios remain within accepted parameters. This is nothing new but causes too much cognitive dissonance in the minds of the masses to be accepted as the truth, until the truth is laid bare. The fact is that all elite athletes are using PED’s to some degree, and politics and geography are not a factor. 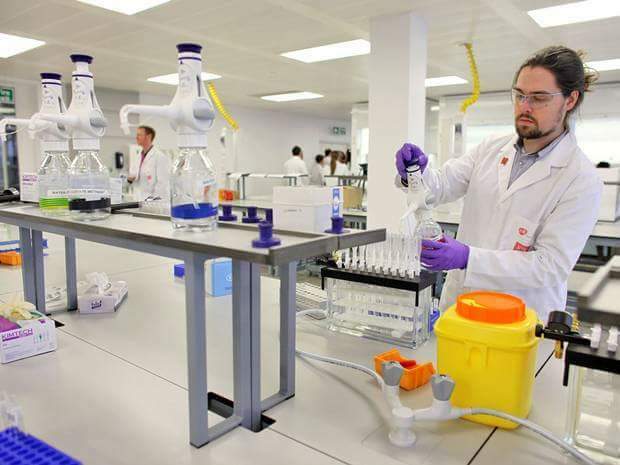 The drugs in sport have evolved as has methods utilised to avoid their detection. Former athletes have claimed that deals have previously been struck between super elite athletes and federations to assure protection from testing. Corruption, bribes, scapegoating (ie Ben Johnson), cover ups, choosing who will be tested etc etc are all methods that have been utilised to conceal the use of drugs in sport. But it’s the emperor’s new clothes. The pretense that it’s only a few bad apples who now and previously utilised drugs in sport will not work any longer. Nope, they are not. Anabolic steroids for example, became widely used initially by weightlifters in the 1950s. Their ability to transform physiques and increase strength were quickly recognised. They were soon adopted by bodybuilders then athletes from other disciplines. There use in competition has been prevalent for many decades. Every gold medal for example achieved in the 100m has been achieved with their aid since at least 1980s and maybe even prior to this. In 1976, the East German swimming team won 11 out of 13 Olympic events, and later sued the government for giving them anabolic steroids. State sponsored doping was rife in the old East Germany prior to the fall of Berlin Wall. Kids as young as eight were given pills which later took a terrible toll on their health and in a number of cases forced them to change gender. The drugs broke their bodies and tragically, in some cases their souls. The Russian situation today in many ways parallels that former Germany era. the priority being more medals. The health of the athlete being a long way down the scale of importance. The difference in the west is the athletes have a choice, and are not coerced into ingesting substances so powerful that there health is compromised from an early age. However this does not detract from the fact that any adult competitors who would benefit from taking peds will be doing so. Otherwise they could not effectively compete and would have no chance of beating enhanced opposition. Most people assume that improvements in athletic performance are due to advanced coaching methods. But they are not. They are due primarily to pharmacology. In sports that utilise primarily anaerobic energy systems i.e. power sports, for example sprinting, enhanced testosterone levels, anabolic steroids and stimulants are mandatory if you hope to be victorious. Have been for decades, anyone who says otherwise is naive or bullshitting you. The ability to perform well in sporting events utilising aerobic energy systems such as middle, and long distance events is primarily determined by the ability to deliver oxygen to muscles. Oxygen is transported by red blood cells. The more red blood cells, the more oxygen you can carry. In the era of Coe and Cram, athletes utilised blood doping to boost the number of their red blood cells. This process was completely undetectable – athletes removed a quantity of blood, and re- injected it after their body had made new blood to replace it. This method was extremely popular before EPO became available. 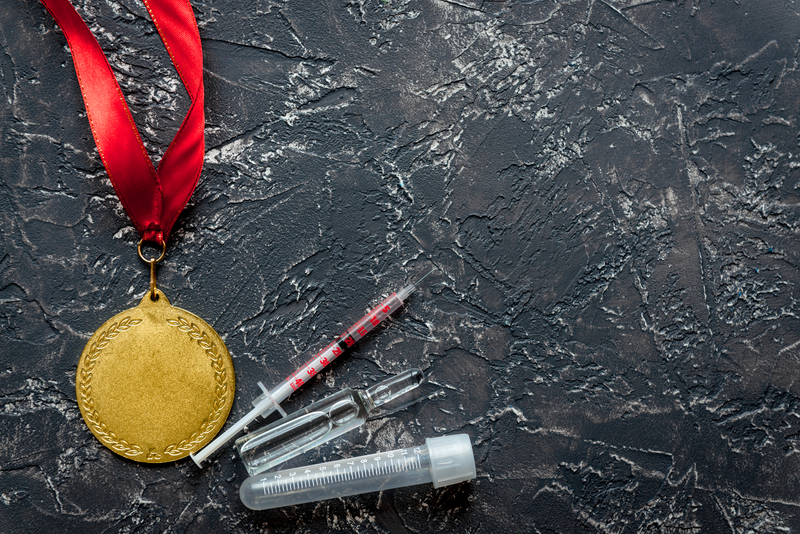 Athletes began injecting recombinant human EPO in the 1970s, and it was officially banned in 1985. In the early 1990s, after EPO doping gained popularity but before tests for its presence were available, several Dutch cyclists died in their sleep due to inexplicable cardiac arrest. This has been attributed to high levels of EPO doping. Use of EPO is endemic in cycling and many other sports. In 1998, the Festina team was expelled from the Tour de France after trainer Willy Voet was caught with 400 vials of performance enhancing drugs. The following year, the World Anti-Doping Agency was established as a result of the scandal. In 1992, Vicky Rabinowicz interviewed small groups of athletes. She found that Olympic athletes, in general, believed that most successful athletes were using banned substances. BJSM (2004). Of course the elite athletic competitors knew as they were all enhanced. Depends on your point of view. I would say no they aren’t. These compounds are a prerequisite for athletic success and without them an athlete cannot get to the pinnacle of his or her sport even if they are a genetic freak. The training recuperation and performance advantages afforded by the drugs are far too great. People generally do well at sport as a result of the genetic lottery that happened to deal them a winning hand. To a certain extent drugs in sport also level the playing field. There are numerous anomalies also. Training at altitude for example ellicits a similar increase in red blood cells as does EPO but the latter is illegal whilst the former is not. Also the drug treatments for health conditions will sometimes raise the performance of an athlete beyond that which they could attain naturally. By allowing everyone to take performance enhancing drugs, we level the playing field. We partially remove the effects of genetic inequality. Far from being unfair, allowing performance enhancement promotes equality (BJSM 2004). Don’t make the mistake of thinking that creatine, protein, CLA, caffeine, BCAA’S, or any other number of supplements amongst the multitude taken by trainees aren’t designed to be a “performance enhancing” supplement. They are being ingested for the sole purpose of improving ability in the chosen discipline. Anyone who thinks otherwise is fooling themselves. Aside from their illegality you could argue essentially where’s the difference? and If PED’s are used sensibly the risks to health are minimal. The legalisation of drugs in sport could be fairer and safer. Why we should allow performance enhancing drugs in sport. A global strategy for prevention and detection of blood doping with erythropoietin and related drugs. 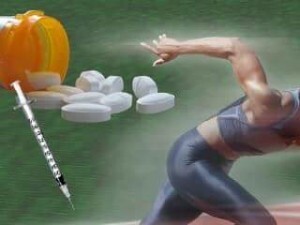 Athletes and drugs: A seperate pace.